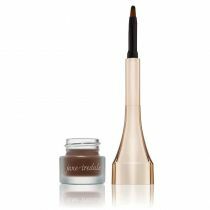 PureBrow Gel by Jane Iredale adds color, depth and highlights, covers grey eyebrow hairs and can be used as a light mascara. 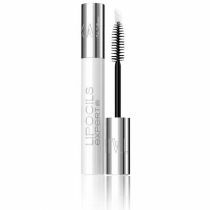 Lightly stroke product onto eyebrows in desired direction to add depth and keep hairs in place. Use two colors for maximum effect. Some people even use this product to touch-up their roots between visits! Tame, condition, and protect your brows with Jane Iredale's proprietary blend of high-tech sea minerals. Create smooth healthy brows that are naturally more manageable. Available in clear and tinted shades that help provide extra coverage. PureBrow Gel by Jane Iredale tints brow hairs in a natural way. Clear gel can be used to hold unruly brows in place, as a clear mascara for dyed or dark lashes and over color mascara to make it more water resistant. Adds color, depth and highlights. Can be used as a light mascara. Algae Extract: Conditions and protects hairs, making them healthier, smoother and more manageable. Hydrolyzed Wheat Protein: Thickens, Curls, and Strengthens. 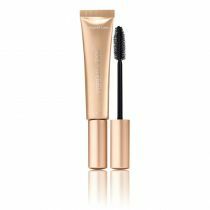 PureBrow Gel by Jane Iredale adds color, depth and highlights, covers grey eyebrow hairs and can also be used as a light mascara. 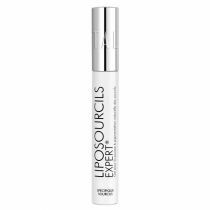 Unlike some other brow enhancers, this product will make your brows look natural, but better. Jane Iredale PureBrow Gel goes on easy and lasts all day. Aqua/Water/Eau, Pvp, Glycerin, Glyceryl Polymethacrylate, Carbomer, Panthenol, Aloe Barbadensis Leaf Extract, Hydrolyzed Wheat Protein, Algae Extract, Raphanus Sativus (Radish) Root Extract.